At one point in time, fuel efficiency was a secondary thought when designing and optimizing a vehicle. Rising gas prices and a push for a greener planet has meant this has now become a critical design target. There are lots of products and designs on the market that claim to be able to improve fuel economy over the next product. The government has recognized this and set standards it wants specific industries to reach and provide proof that their products work as intended and are continually being improved. Both the EPA and the State of California have selected ARC as an approved testing site for commercial vehicle aerodynamic fuel economy improvements. 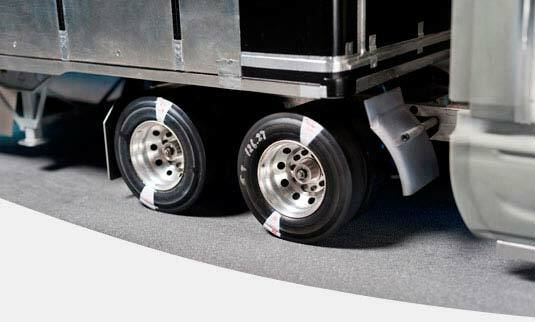 The advantage of wind tunnel testing at ARC to obtain certification is that our controlled rolling road, wind tunnel environment provides a very high level of accuracy. Testing using a scale model means testing can be done at a much lower cost than with full scale vehicles without losing the accuracy. Thus, ARC provides the power of “repeatable accuracy” at a lower cost. Towards the future, ARC is working towards several other fuel economy approvals across many different industries. Contact ARC via e-mail or phone at 317-291-8600 for more on aerodynamics governmental compliance.